Aside from me being out of action for a good week or so due to a viral chest infection (this year hasn’t been great health wise), the month of March has been a really joyful one. It has been filled with proud parent moments and sunny spring days. This months pictures were taken on Saturday afternoon by a randomer I hand picked on the harbour (in fear that someone else might pinch my phone – judgey much?). We decided to have an afternoon walk at the coast and enjoy an ice cream or waffle as a pre mother’s day treat. 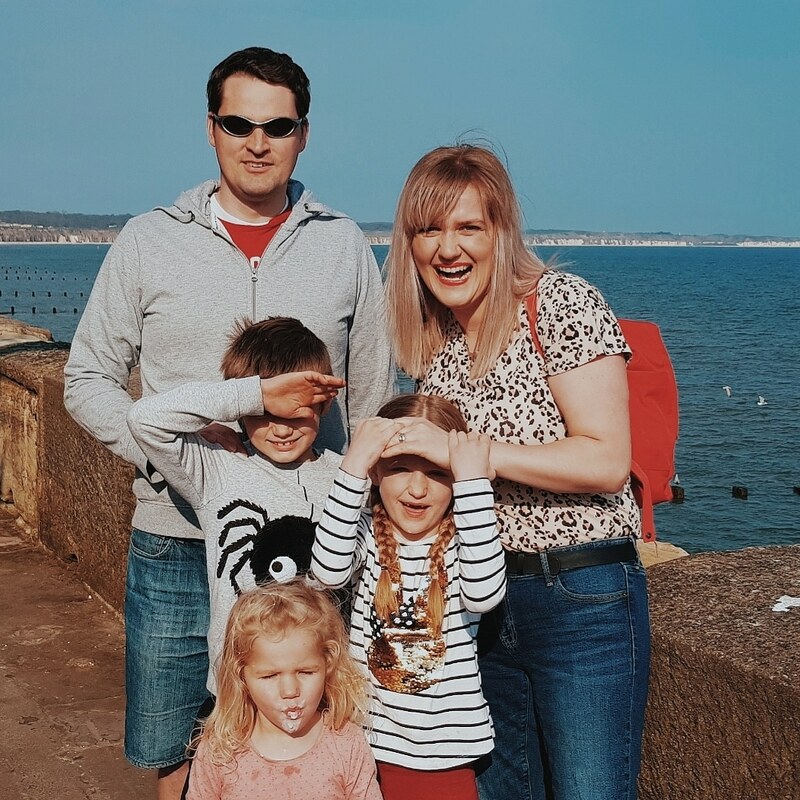 I was delighted to be able to enjoy some lobster tails AND a Mr Whippy, whilst strolling in the sun with my little ones and breathing in the fresh sea air and having chats and laughs – just the 5 of us. It was a lovely gift before mothers day, and at a time of year when I feel heavy in my heart, it was a refreshing and happy moment. 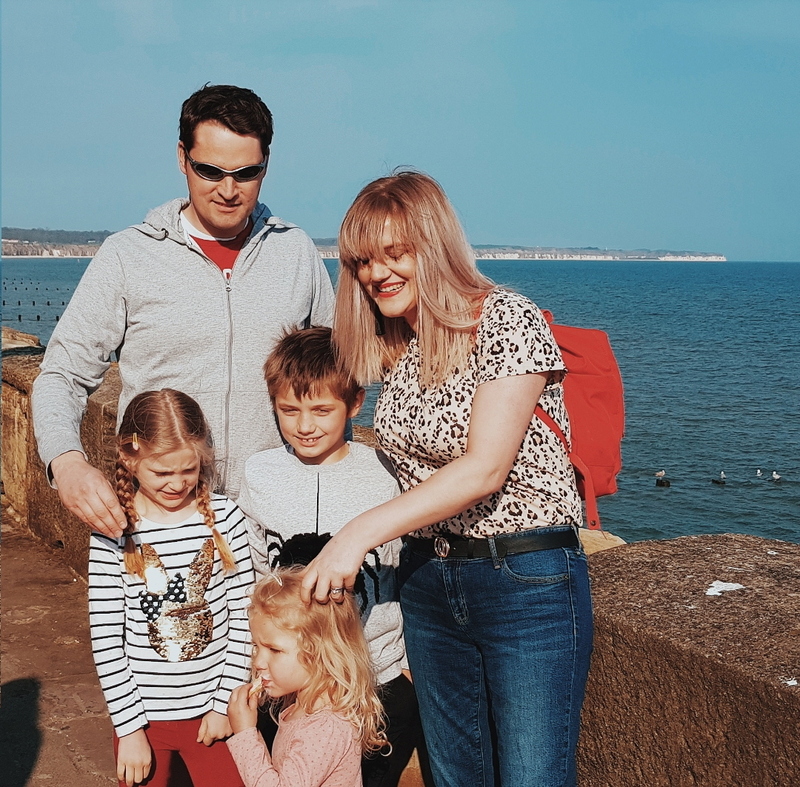 We have had a few days like that over this month – chilled strolls at the coast or around the local fields – just the 5 of us, and it has been lovely to just enjoy time together with no real goal, just being in the moment and having a nice time together. March has been great in our family for awards, high 5’s and “well done’s” – especially for Megan! She has been an absolute star and this has certainly been her month! Megan isn’t a great lover of school (quite the opposite really) and to have her move up a reading level this month, as well as receive a golden ticket for meeting her targets and then 10/10 on a spelling test too, I couldn’t be prouder. She is doing fantastic, despite her tendency to daydream and be stubborn and we are really pleased for her. Her shining moment this month however was certainly when she bagged a gold medal in her gymnastics competition last weekend – so brilliant and so agile and also brought home star of the week that Monday too. Ethan too is doing well – we had parents evening for them both this month which is always nice to have a real update and time to talk about them. He is a pretty laid back kid at school but naturally good at stuff (which is great, but dangerous too as he can be passive about his effort with work). He too has received a golden ticket for his met targets, gone up a reading level and can play 2 songs on his trumpet now! Simba also sent him a new mattress which basically means he goes to bed loads better than before and feels like he his living in the lap of luxury! I am so pleased that all of our kids are doing well and that despite the daily battles to get to school, they are working hard and succeeding! Alice is a joy to have every day at home and makes us all laugh like no other! This month we also had the bikes serviced and the kids have had several bike rides. We were given a trampoline too which very much dominates the garden, but draws in a gang of kids every day after school and has been a lot of fun to play on as a family. We love seeing the kids bounce around laughing and playing as well as welcoming neighbourhood friends to play – we will keep it for all it brings, even if it does look weird! Nathan and I went back to Leeds last week for a funeral, which was a bitter-sweet day. It was lovely in the sense that we got to see and catch up with old friends and remember the love of the one we were there for, but of course the occasion was really sad. March has been good to our family aside from more illness – we have made some lovely memories, shared some great moments, had fun and celebrated together. Yesterday we had a lovely mothering sunday with a lovely talk at church by Ethan, some singing from the kids and a chocolatey treat. We took a homemade lentil and veggie lasagne and veggies over to Nathan’s Mums and shared a lunch with her and a couple of his siblings too. The day is never easy, but the kids went all out with chocolate, tulips, little gifts, beautiful cards, breakfast in bed and a whole lot of love and kisses!!! It was nice to be together and appreciate being their mum and reflecting on motherhood. I am truly thankful this month for our little family and who I am surrounded with on this crazy journey of life. We are looking forward to the Easter break next week, Easter eggs and egg hunts, and lots of school holiday adventures. We hope the sun keeps on shining and that the snow rumours are just that! Previous Post Four Minus One Is Still Four!